- When you go my courses tab and browse one of your purchased courses in mobile app, there is no link to go to the author profile for looking his/her other courses. You basically need to search instructor name in search section to find his/her other courses. Waste of time. This problem can be solved very easy. In purchased courses, a simple button/link which goes instructor profile can be put in the “more” section. Then I can easily look my instructors other courses and enroll them if I like it. - When you look for a new course, you can see the curriculum in extendable way. Tree structure in other words. When you click the “+” sign, you can see the content of the section. This is perfect. If there is a lot of section, it says after showing some section, “There is 19 more section”. 19 is trivial, this number depends on the course. Anyway, when you click this link to see whole section, there is no tree view any more. No “+” sign to extend section content. Which means there is a very big table of contents page. You have to scroll down and up to see everything. It is waste of time. You can implement a tree view after I click to see whole section. Then If I curious about content of the one section, I can click the “+” sign and see the content. You also can add “extend/collapse all section” option. This is more user friendly. Hi there, thank you so much for your feedback and we really appreciate all of your sincere contribution to the Udemy app. We have recorded these suggestions as a feature request, and we do hope that this will be launched as soon as possible. Have a great day! I doubt I would have purchased products on Udemy if I had known how their set up was. most of their products can only be streamed or downloaded to the mobile app but no desktop downloads! they say due to piracy issues, completely understandable but the streaming software is buggy and needs to be updated. I stream video from the usual places Netflix etc. without issue in HD but Udemy software is constantly buffering and won’t load making it impossible to use their courses. And I have tried to download courses to the mobile app multiple times. on three different devices, Over different Wi-Fi’s and on phone data plan. I’ve tried downloading different courses to mobile device without success, downloads will usually complete around halfway to 3/4 and then stop and never finished downloading the rest of the way. Since streaming capabilities are clearly not up to par, they should make downloading an option to desktop, otherwise they should notify people before purchasing that you’re only allowed to “rent” their courses since if I cannot download it I technically don’t own it. It’s truly unfortunate because they offer many great courses at very reasonable prices. I feel like they just need to be upfront about how their product is distributed. Hi there, we sincerely apologize for the downloading and streaming issue. In this case, could you please try to change the connection and download the individual lecture instead of the whole course? 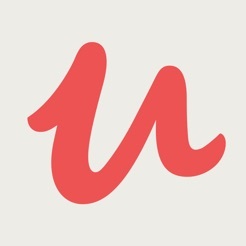 You can also try reinstalling the Udemy app to see if things work. If not, please feel free to reach out to us via https://support.udemy.com/hc/en-us. We'll be there for you. We appreciate your patience and cooperation! I think the developers should take advantage of some of the fine IOS development courses offered at Udemy. And perhaps some of the UI/UX courses. App is very buggy. Crashes randomly. Screen would rotate 180 degrees (up side down) when you play the preview videos. Have to rotate device back and forth to “fix” the the issue. Sometimes the next video in the course would play automatically. Other times, not. Need to restart app to restore functionality sometimes. Would also like to see it updated to support newer devices such as the 2018 iPad Pro I am using. Would also like to see some of the functionalities such as the playback speed and captioning options made more easily accessible (e.g. directly on the screen overlay along with the playback buttons). I believe these functions are used often enough given the nature of the contents (i.e. training courses) that they deserve to be in a more accessible location rather than behind another menu. I would even suggest some gesture controls for skipping backwards and forwards instead making the user try to push tiny buttons that are a miss half the time.